ARTinfoINDIA.COM’s Contemporary Portrait Art Exhibition 2015 and Creative Portraits Art Exhibition 2016 was successfully organized. 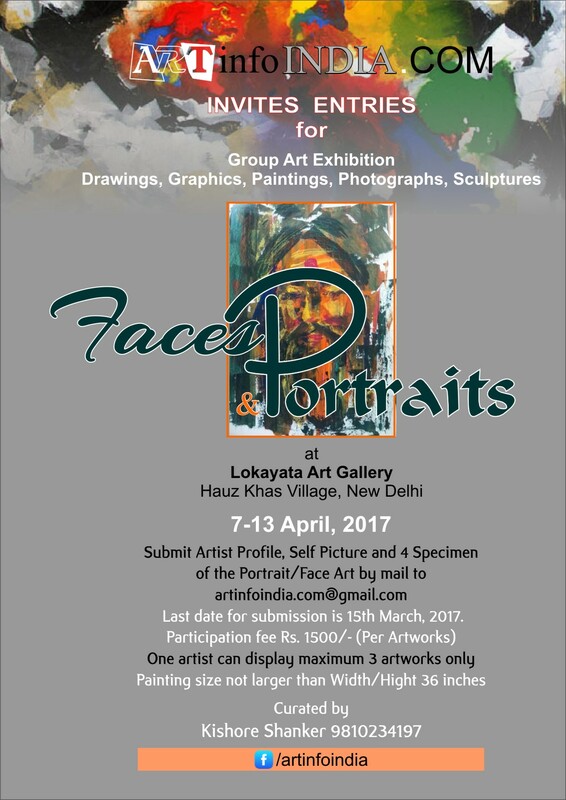 ARTinfoINDIA.COM invites you to participate in Faces & Portraits 2017 A group art exhibition of Faces & Portraits only. It can be Drawings / Digital Art / Graphics / Paintings / Photographs / Sculptures by Contemporary Modern / Abstract / Realistic artists. Last date to submit Artist Profile, Self Picture and 4 Specimen of the Face and Portraits Art by mail to artinfoindia.com@gmail.com is 20th March, 2017. After screening of the artworks, short listed artists shall be informed / contacted to submit the Artwork to be displayed.